This book evolves around the world of meth-addicted people, mixed up with the members of a racist white-power group. The story mainly takes place in Lena's place of birth. Weird things are going on in this town. The story starts with a car burning out with a body in it. Next to the car is Lena Adams, one of the main characters in the Grant County series. Jeffrey, her boss, get's a call that she is arrested, because she refuses to talk to anybody. Jeffrey is taking Sara with him to this little town to figure out what is going on. Sara is asked to do the autopsy and she accepts, so both she and Jeffrey get involved in Lena's problems. The Grant County series is a great series to read. I highly reccomend you start with Blindsighted; book #1. 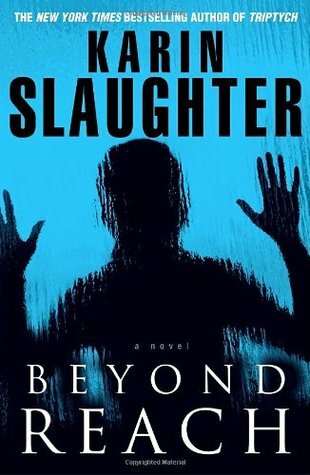 Beyond Reach is an ending you can expect from the Queen of Thrillers; Karin Slaughter. I gave the book 5 hearts, because the ending shocked me!